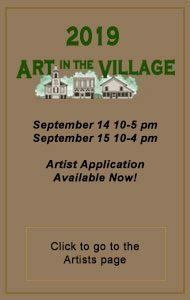 Thank you for your interest in the Clarkston Community Historical Society’s Art in the Village! Our show has been a Clarkston community event for over 40 years showcasing more than 100 artists each fall from all over the United States. 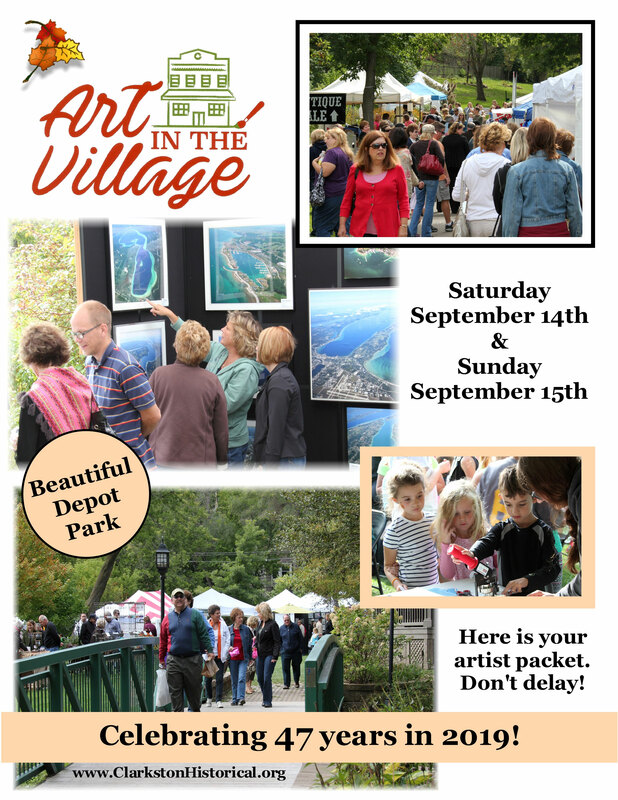 The show is located in the National Historic District of the City of the Village of Clarkston in the quaint setting of Depot Park. It is always held in September. The show draws thousands and thousands of shoppers from the tri-state area who appreciate the unique quality of fine art and craftsmanship. We pride ourselves on running a juried show. Proceeds from the show fund the Clarkston Heritage Museum and the Clarkston Community Historical Society. Our mission is to educate the community about the rich and unique history of the Clarkston area. We must be doing something right with a history of a show that’s run annually for more than 40 years! 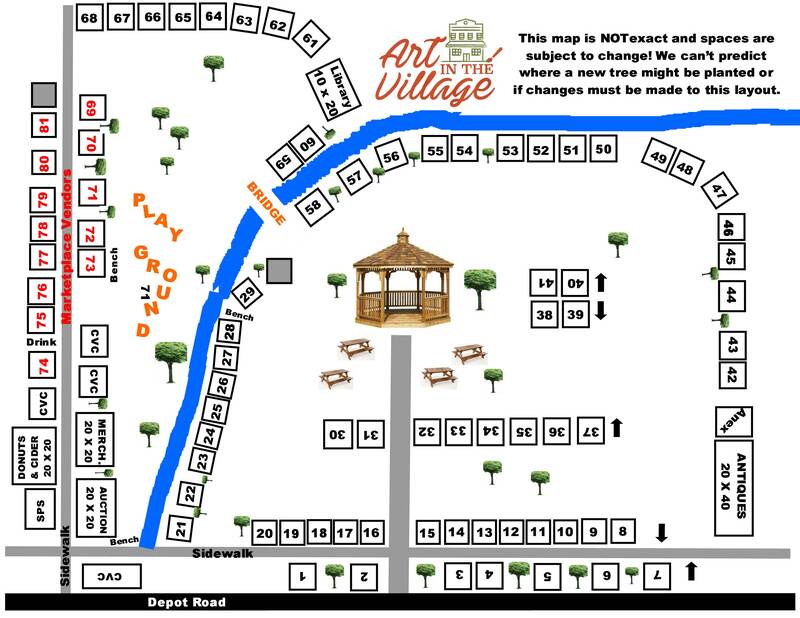 Make this year your year to be an exhibitor at Art in the Village! All the information you need to apply is located in the links below. After you’ve read the Exhibitor Information and Guidelines and looked at the Map, print out and complete the Space Reservation Form and send along with your booth fee, photos, and self-addressed, stamped envelope. If you have any questions, you can contact our office, 248-922-0270. Click the links to open the documents in your browser. You may then use your browser to save or print. If you don’t have the Adobe Reader, required for reading the PDF file, please click the image below to get the reader and install it.